Every so often, I run across a beverage that immediately grabs my attention. While looking for something to drink at a local Circle K, I noticed two new Mt. Dew varieties. First off, the cans say SPIKED in big letters, which immediately led me to think that Mt. Dew had entered the alcohol arena. I'm sure that confusion is something they were prepared for, because the cans are labeled as non-alcoholic beverages. The two available varieties are lemonade and raspberry lemonade. Knowing Mt. 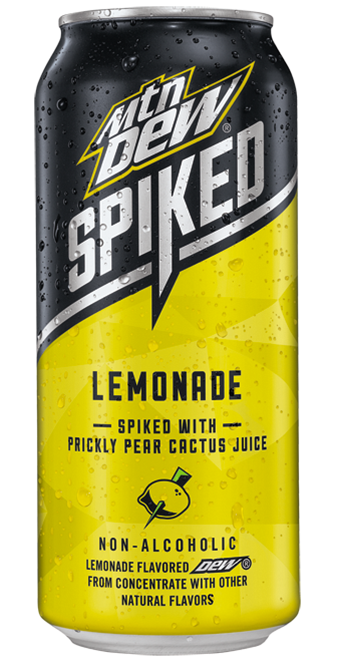 Dew, I wouldn't be shocked to see more flavors in the future if these are successful. I tried the raspberry first, and I was very surprised to get a nice smooth texture. It had the flavors you expect in this mixture without the sour that lemonade or raspberry bring, and without that syrupy quality that Mt. Dew can have. The regular lemonade was the same way. Both have a nice clean flavor and are very mild. I preferred the raspberry, but I wouldn't turn down either. The interesting thing here is that the sugar content is lower than expected. Prickly pear cactus juice is used to sweeten the drinks. that's a more prevalent thing here in Arizona, so I noticed the flavor right away. The caffeine content is high enough to give you a boost, but didn't seem to give me the usual buzz that the regular Mt. Dew sodas can. Maybe it has to do with the 16oz. can versus a 20oz. bottle. 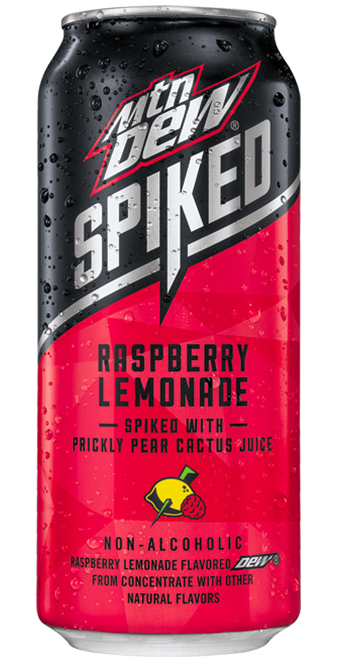 If you're looking for something refreshing with a little boost, give Spiked a try. I can definitely see picking these up again. They give you the Mt. Dew you're looking for without the sugary and syrupy weight of a soda.